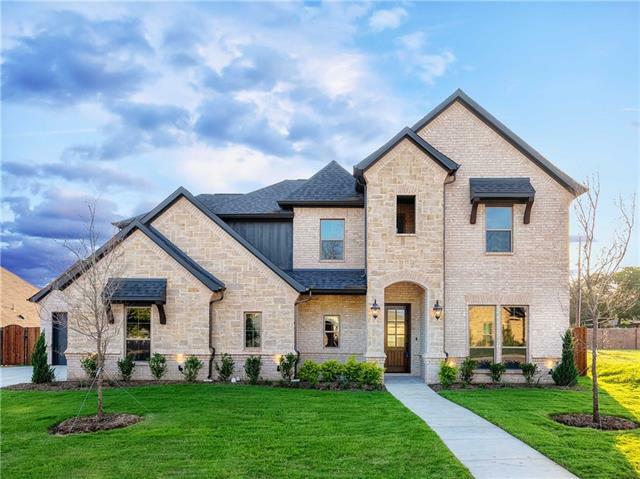 All Hurst homes currently listed for sale in Hurst as of 04/20/2019 are shown below. You can change the search criteria at any time by pressing the 'Change Search' button below. 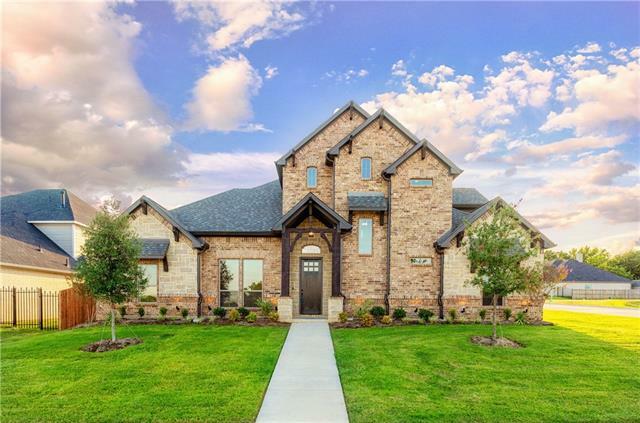 If you have any questions or you would like more information about any Hurst homes for sale or other Hurst real estate, please contact us and one of our knowledgeable Hurst REALTORS® would be pleased to assist you. "Come see this fully Renovated Spacious 3900 sq. ft. home with 4 bedrooms, 4 living areas + study. Large open floor plan. Vaulted ceiling in family room (which is open to the kitchen & breakfast room). New beautiful crown moldings throughout the entire house. New floors downstairs and upstairs. New lighting system. Kitchen fully updated with granite counter tops and stainless steel appliances. New Iron Decorative staircase railing. 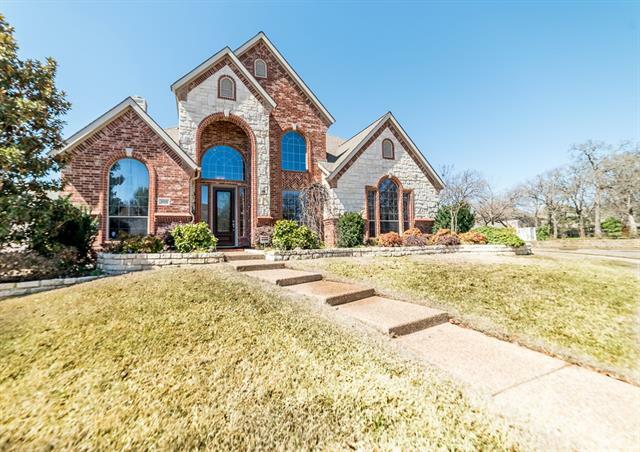 Great media room upstairs with 2 window seats for reading,studyi"
"Home is nestled in Madison Place off of Glade Rd & neighborhood is split with Colleyville. Exquisite property on corner lot that has it all!! Kitchen with island, walk in pantry, granite countertops, 42 inch cabinets, breakfast bar, convection oven, gas cooktop and micro. 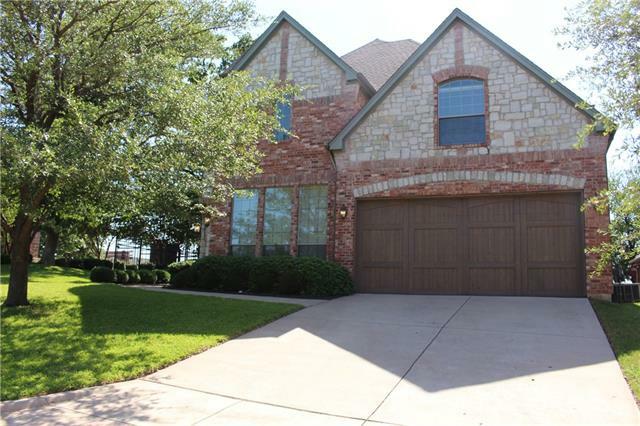 Master has crwn mldng, jetted garden tub, dbl vanities, sep shower, huge walk in closet with built ins. 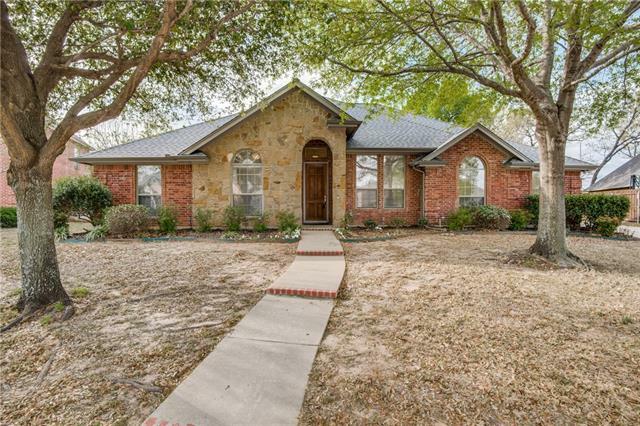 Other features include Hardwood Flrs, Study, Art Niche, Plantation Shutters, 2 inch blinds, Split Formals with Crwn Mldng, "
"Custom 1 Story Ranch Home on 2 ACRES! 4 bed 3 baths. Can easily convert large office into a 5th bedroom! Beautiful mature oak trees. Lots of Privacy in back. Room for a pool! Plus 820 square feet in outbuildings, shops, 2 tac rooms, shed by RV carport. Huge game room and office! Energy efficient new HVAC with extra insulation in attic, new 50 gal water heater, double pane windows, 2 attic air turbines and 2 attic motor air turbines with thermostats. Exterior amenities; 10 car overhead parking,"
"Stunning Ashlyn Home located in Melbourne Place! The open concept kitchen and living with custom trey ceilings, granite counter-tops, custom cabinetry with hand scraped hardwood flooring. Master bedroom bath featuring his and her sinks, separate shower and bathtub with a huge walk-in closet. 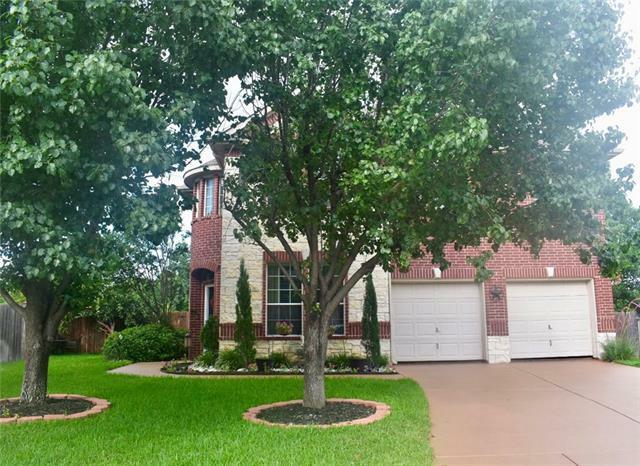 The front and backyard is landscaped with a full sprinkler system." "Gorgeous custom built creek lot home with high end amenities priced under $500k and no HOA fees! Enjoy the huge kitchen and butler's pantry overlooking a warm living room with rich hand scraped hardwood floors, wine refrigerator, plantation shutters, solid core doors, dual master suites, executive study with built-ins, oversized laundry room with sink and folding area, extra storage, enlarged garage door for taller vehicles plus much more. Family fun, dining and relaxation easily extend outdoors"
"Stunning Ashlyn Home located in Melbourne Place! The open concept kitchen and living with custom trey ceilings, granite counter-tops, custom cabinetry with hand scraped hardwood flooring. Master bedroom bath featuring his and her sinks, separate shower and bathtub with a huge walk-in closet. The front and backyard will be landscaped with a full sprinkler system." "A Must See! Charming home in fantastic location featuring cozy, yet spacious open living ,kitchen and breakfast nook with upgrades galore.Enjoy the large living area and it's high ceilings and gas fireplace, or relax in the den area. Kitchen features KitchenAid stainless steel appliances,granite counter tops and double oven.Buyers will love this move in ready home with 3 car garage.Luxurious details such as travertine flooring, wrought-iron stair railing, frameless glass master shower,2-in f"
"MANY EXTRA's in this property! Priced to sell immediately! Home is open and bright w lots of natural light & beautiful windows. Great stone fireplace. Open concept w gourmet kitchen. Sep office & dining. Large master ste down w sep vanities & lots of storage. Secondary BR upstairs w flex space & lge theatre room. 3 BR upstairs w 2 full baths. One is a jack and jill. Seller is a avid gardner so the grounds are filled w one of a kind plants, trees & flowers & sprinkler system. The back patio is a "
"Nestled at the back of this highly desired established neighborhood on a non thru street with no HOA, this home is very private. Sitting on a third of an acre, the backyard features a pool, gazebo, deck and lots of room to play! Oversized garage has a toilet in back pool area. Over the past 3 years updates include new stone coated steel roof, resurfaced pool, pool pump, gazebo, solar screens, water heater, privacy fence, dishwasher, epoxied garage floor. 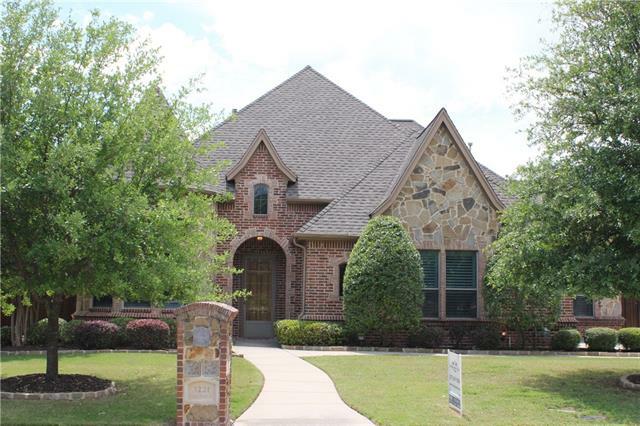 Delight in the open floor plan with hand "
"One of a kind previously Sandlin Custom Model Home. 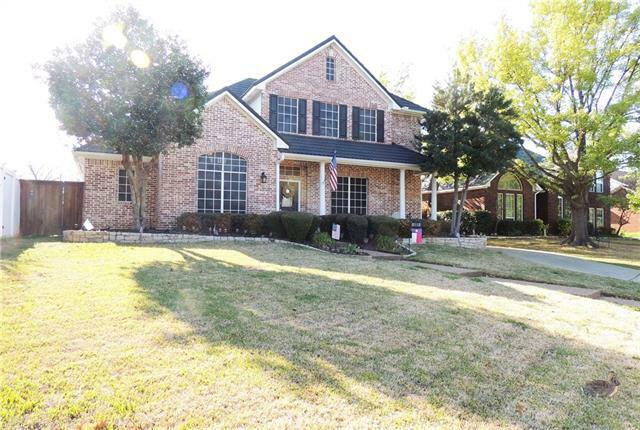 Plenty of room for a growing family in coveted Hurst ISD. Master bedroom and Guest bedroom are on first floor. Master has Jacuzzi Jetted Tub. First floor Guest bedroom is great for office, parents or young children. Open concept living-kitchen. Garage with Cam lighting has AC ductwork and a separate AC unit if Buyer wants to convert. Come see to appreciate. Home has been well cared for by a loving family. 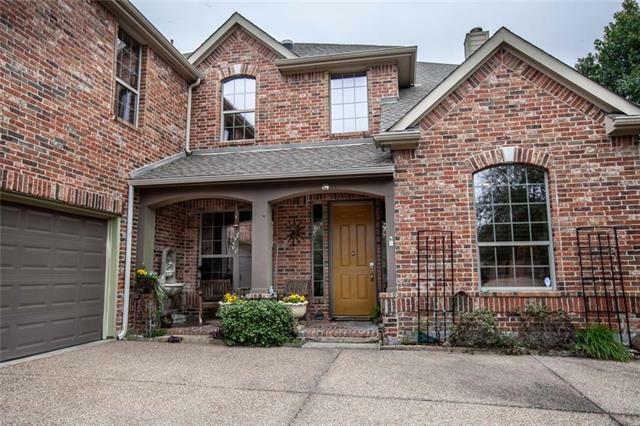 Near desired Harmony Science Academy"
"You'll love this east-facing home on a cul-de-sac lot in Madison Place. Soaring ceilings, abundant natural light, neutral tones and an open-concept floor plan make this two-story home stand out. The spacious living room with cozy fireplace seamlessly flows into the eat-in kitchen, well equipped with abundant storage space, center island and breakfast bar. 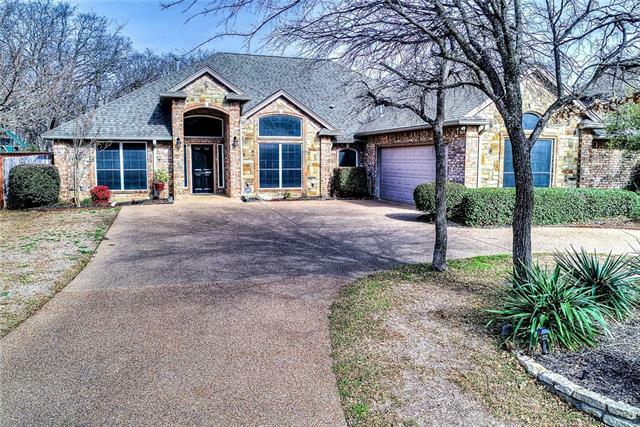 The expansive, downstairs master suite offers a luxurious en suite bathroom with double-sink vanity, soaking tub, separate shower and walk-in "
"This immaculate property lies on .37 acre in a very quiet neighborhood, Lonesome Dove Estates. 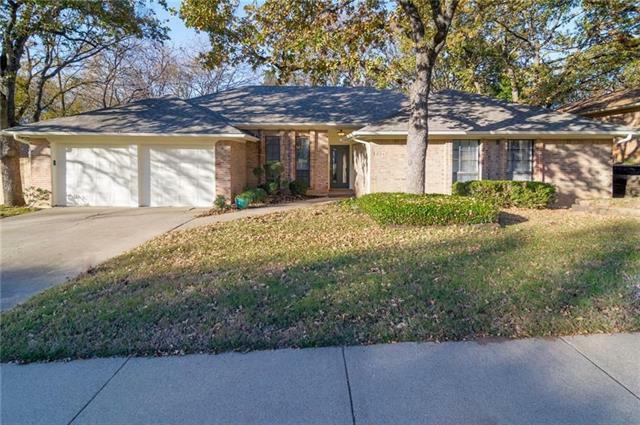 Updated w new landscaping front&back, stone patio at ground level & large deck w beautifully trimmed cedar outdoor living area w shingle covered roof, entertainment center & natural gas fireplace.Side yard w iron fencing.New roof & guttering in 2018.New 2019 HVAC system, gas stove top & 2 water heaters.Remodeled master bath, fresh paint in&outside, new hardwood flooring.Backs up to a creek w a waterfal"
"Beautifully updated in desired Grayson Villas. Situated at the end of treelined cul de sac w lovely curb appeal. 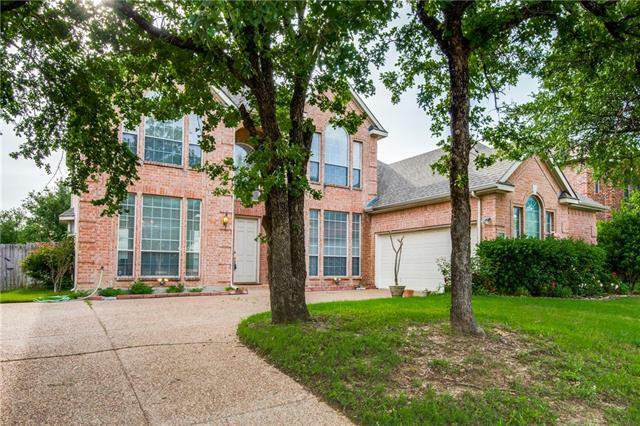 Open floorplan w abundance of natural light & custom finishes throughout. Family room w floor to ceiling windows & 2 story fireplace. Gourmet kitchen w white cabinetry, extraordinary granite, huge island & abundance of storage. Master w incredible spa-like bath w freestanding tub, oversized glass shower and his & her vanities. Downstairs study could be 5th bedroom. Upstairs offers 3 b"
"This home is nestled in the beautiful and highly desired addition that is Wintergreen North. 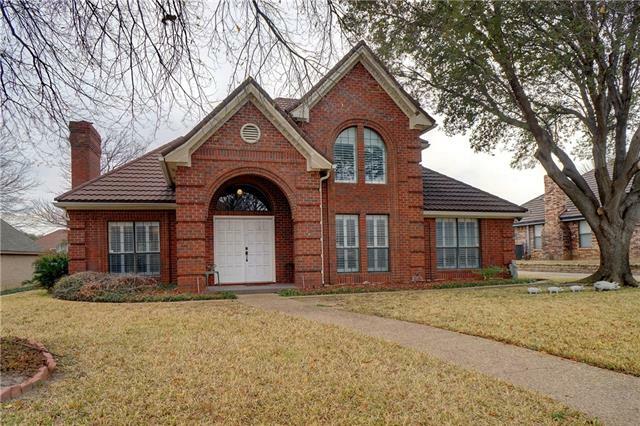 It features a robust brick exterior that is topped with stone coated steel roof. Inside, you'll find freshly updated flooring and paint. The kitchen features a vibrant stone backsplash, granite countertops, and stainless steel appliances from Kenmore and Kitchenaid. The second dining room features a wooden vaulted ceiling and a bar, perfect for entertaining. 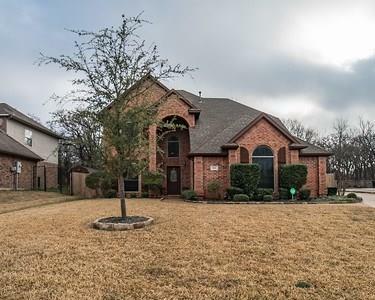 The back yard features a stone pave way and re"
"Beautiful one story home with private backyard and a solar heated salt water pool in Keller ISD. Two living areas, split bedrooms. No HOA dues. Interior paint, exterior paint trim, roof and gutters, stained fence, floors in master bedroom, updated master bathroom and Landscaping in 2018. Deck replaced 2019. Surround sound in front Living room and patio. Close to Highways, churches, restaurants and shopping. Direct access to walking and biking trails. Buyer and Buyers agent to verify all MLS inf"
"Beautiful Custom home is highly desirable community of Grayson Villas. 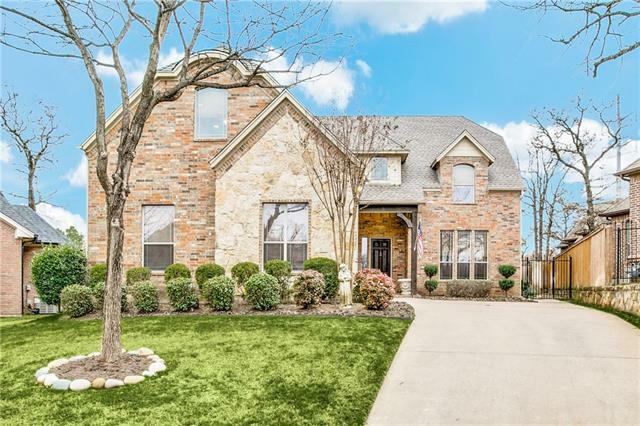 This home boasts so many custom features including hand scraped wood floors, custom cabinetry, built ins, beautiful crown molding and much more. The owner has taken great pride in this home and it truly shows. Stone fireplace, double ovens, granite counters and a cozy Pergola with firepit great for entertaining. This home is a must see!!!!" 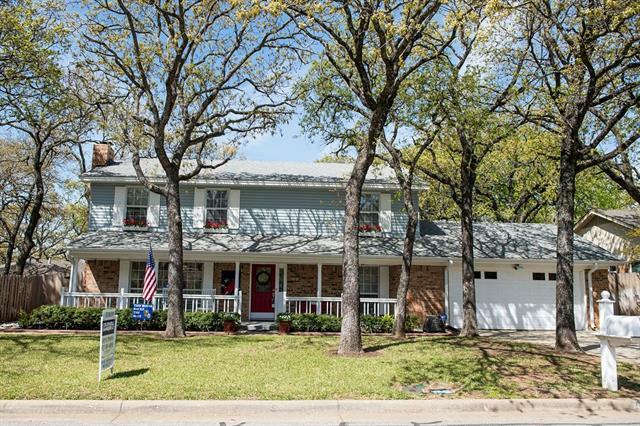 "Great house in a beautiful, established neighborhood. Very private back yard. Outdoor kitchen and TV stay. Lots of recent updates Both AC s replaced in the last year. New fence last year, New carpet All new stainless appliances. Updated wood laminate floors. Recent water heater and Solar screens. Well kept home. Don't wait!!! Houses do not last in this sub division!" "If You Are Looking For A One-Story, This May Be Your Home. Great Floorplan With Split Bedrooms, Large Open Kitchen And Family Room, And Lots Of Trees. A 3-Bedroom, 2 And One-Half Bath Home Has Lots Of Windows To Make The Home Light And Bright And Lots Of Trees To Add Shade. The Kitchen Has Granite And Stainless And Plenty Of Room For Dining. 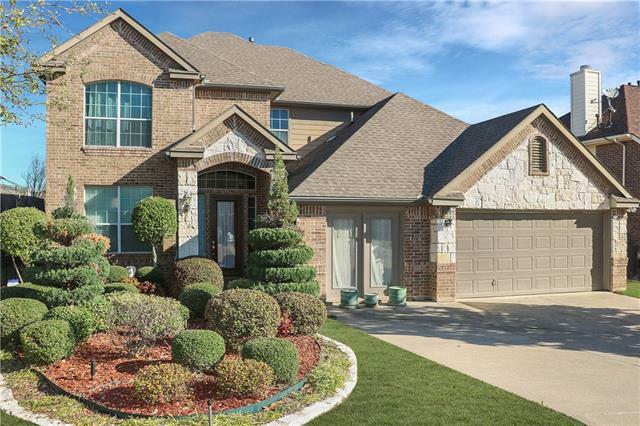 Oversized Master Suite And Bath Are Nicely Appointed With A Neutral Color Palette, Garden Tub, Separate Shower, Dual Sinks, And Is Split From The Other Bedr"
"Rare opportunity to own a one story in GCISD with a pool! This updated home in Mill Creek Haven offers 4 bedrooms, 2 bathrooms, a pool, a hot tub and a side facing two car garage to enhance the curb appeal. 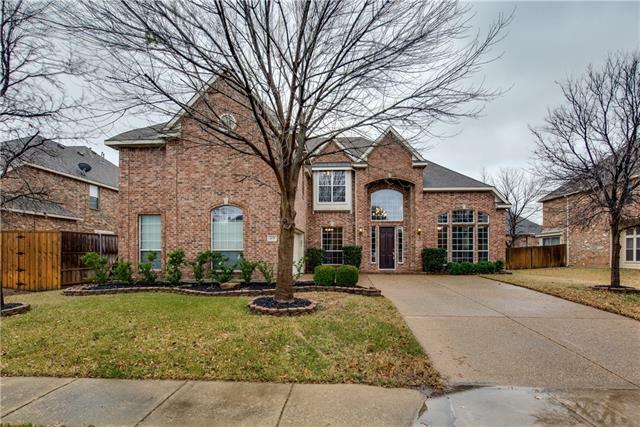 Fabulous location right off Colleyville Boulevard with close proximity to Echo Hills Park, Colleyville Nature Center, and Kidsville Playground! The open floorplan features two living and two dining areas with a see through fireplace in between. Split bedrooms allow for privacy in the mast"
"Beautiful 2 Story Home located on a Large Treed Lot in a Great Neighborhood. Featuring 4 Bedrooms 2 full baths and a half bath. 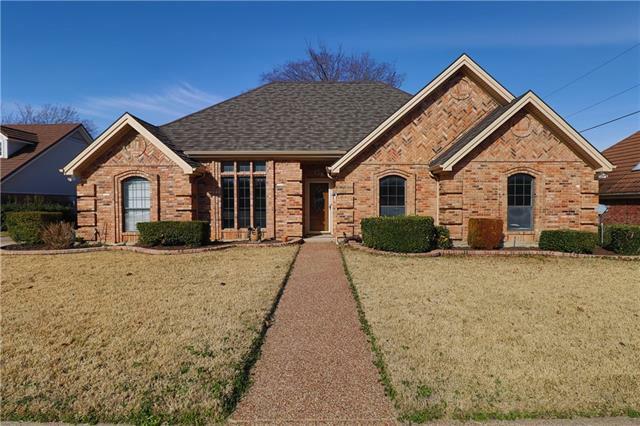 2 Living Areas both with fireplaces, formal dining room plus a bonus room off the Kitchen which can be used as an Office, Craft room or children's Playroom. Also a Sun Room with Air and Electric. Kitchen has Silestone Counter tops, cozy breakfast Nook and an Abundance of NEW Cabinets. New Engineered Hardwood Floors. Fresh interior Paint, New Roof, New 16 Seer"
"Outdoor Kitchen with a View - 4-3-2, Windows over look park-like setting. Open Living area with a corner fireplace in the living room. In 2019, the kitchen and breakfast area was remodeled, and in April 2019 new carpet and wood flooring was installed. 4th bedroom is optional study. Welcome Home!" "REDUCED for quick sale! Move in Ready!! Located in a quiet cul-de-sac on a hill walking distance from the Park! Close to Bell Station Trinity Railway Express! The backyard has beautiful views lots of trees private Hot tub spa, wrap around deck with bench and swing. Smart home remote and Video access! Game Room, Office, updated features lighting, Kitchen includes Corian Counters, traverine backsplash, stainless steel appliances under cabinet lighting open to family room. Walk in Laundry Room down"
"INVESTMENT PROPERTY in Grapevine-Colleyville ISD! 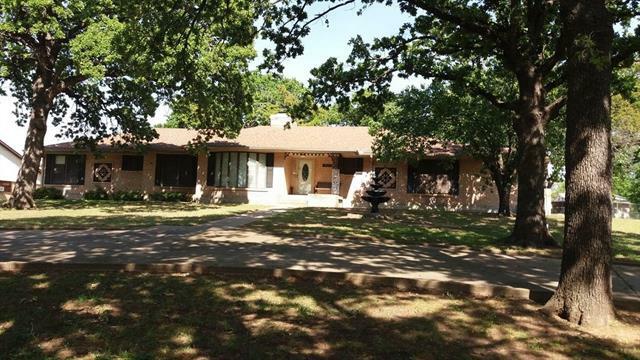 This single story 4 Bedrooms home, 2.1 bathroom is located on a lovely treed lot! Bright home with lots of windows and neutral paint. Living room with brick fireplace and built-ins. Kitchen with granite counter tops and stainless steel double ovens. Master bedroom with dual sink vanity, garden tub, separate shower, and walk-in closet! Gameroom with wet bar. Large private fenced backyard with open patio, deck, and plenty of green space for kids or"
"LOCATION LOCATION LOCATION....This home could be your Next Remodel Project in an Awesome Neighborhood. Property Being Sold AS IS...Bring your Contractor or Creative Ideas. No FHA loans unless they are FHA 203K. This 3 bedroom 2.1 bath has lots of potential. You are Going to Love the Area. Inground Gunite Pool... Rear Side Entry Garage. Master Down Stairs. Study or Formal Dining. Half Bath For Guests. Make This One Your Own and Live Here for Years to Come. Call for a private showing. All offers"